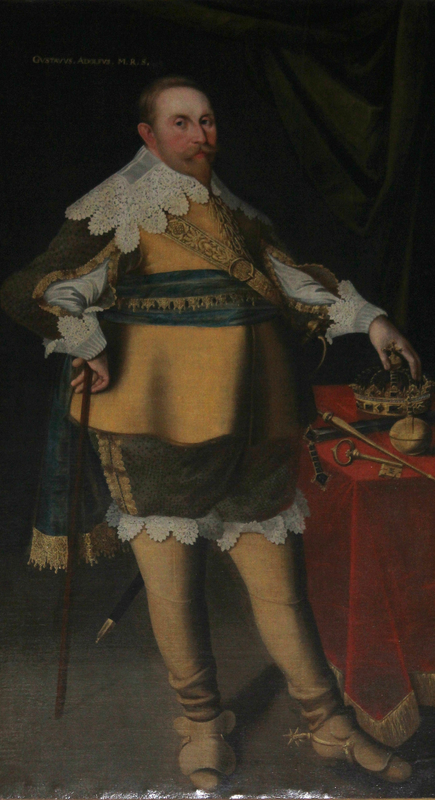 Swedish early modern warrior-king Gustavus II Adolphus is famous for his military exploits, and has been the subject of many books and articles. 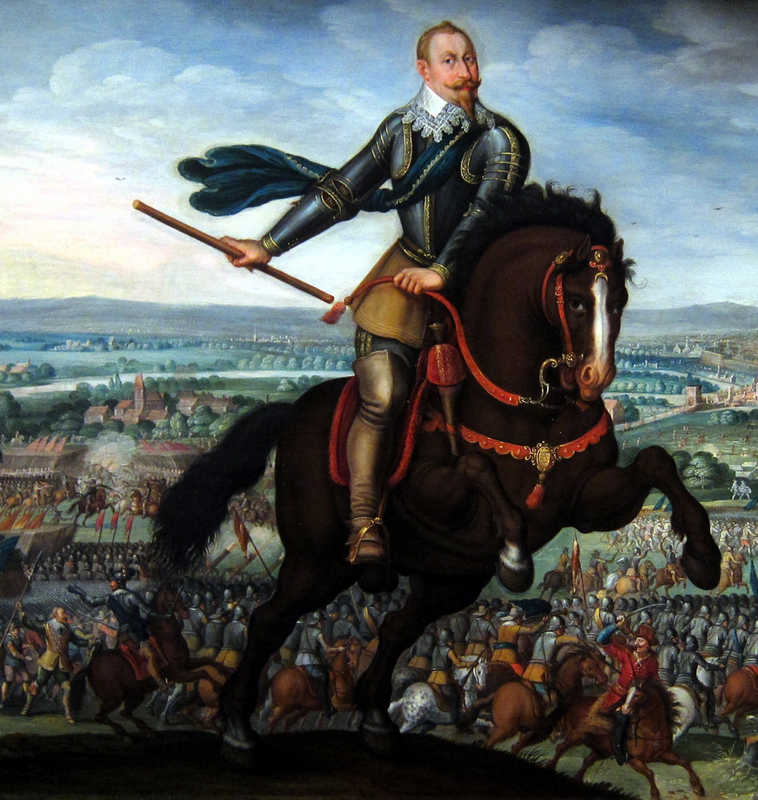 I, if had to make a list of likes and dislikes, could name 3 thing that I could like His Majesty king Gustav for - warrior spirit, his horses and saddles. His portraits speak for themselves, while his saddles tell a different story of sumptuous arts of Baroque Sweden. As per horses, surprise is quite a big one here: two of his horses are still available for viewing and 'exploring,' their exterior, although not for riding anymore, for the last of them died in late 1632 or early 1633 AD, but they have been skinned and stuffed for display,and as such taxidermy masterpieces survived in their respective museums. But about his horses I will talk in my next posts. He was a cavalier to the end - when mortally wounded and dying, with a broken left-arm, many sword thrust into his body and pistol bullets in his chest,while his bodyguards lay fallen around him, and he alone amongst the Imperial cuirassiers when asked who he was, he is said to have answered: 'I was the King of Sweden.' One final pistol shot into his temple thus ended his life and prospect of further conquests and hence ushered him into the glories of immortal fame - Lion of the North. 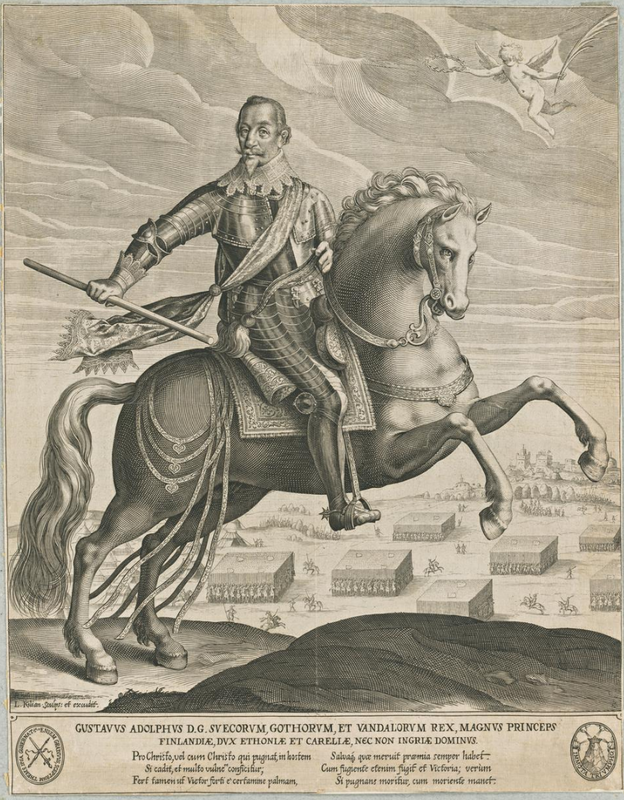 In this prints and paintings we see the king mounted on a war charger, most likely of a German breeding, a typical Baroque horse. In this print he is without the armour, or so it seems, covering himself with a riding coat or Reitrok (German). His armourless attire - riding boots, elkskin buffcoat coat and enormous ornate lace collar etc. 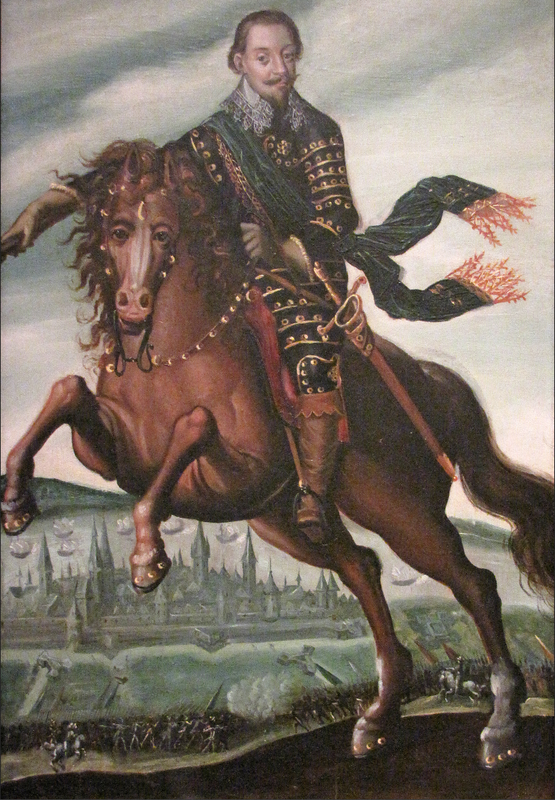 At Lutzen he would wear one with long sleeves, and it was taken by the Imperialist cuirassiers to their commander Piccolomini who sent it, along with his damaged hat, as trophies to the Holy Roman Emperor. 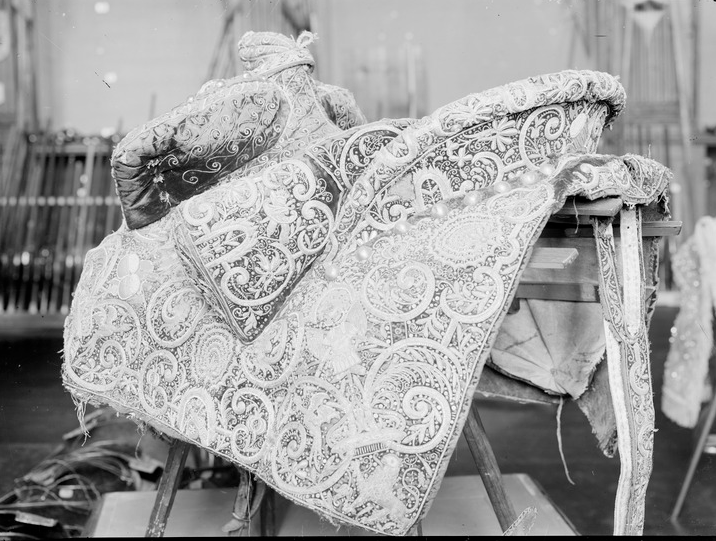 It was kept in Vienna, Austria, until the end of War World I, when Austrians returned the items in a gesture of gratitude to the Swedish Red Cross. 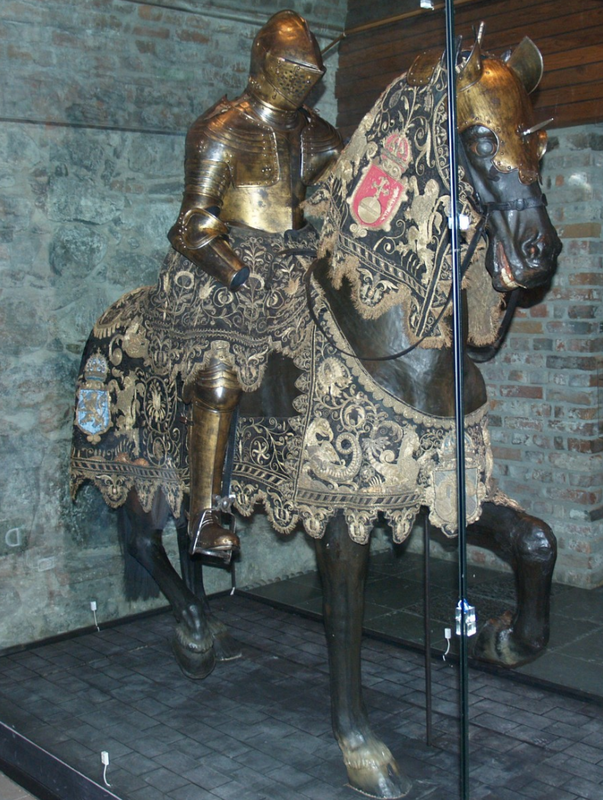 King's armour from his tournaments, at Livrustkammaren museum they have horse trappings and elaborate horse bardings for the tournaments held during his early rein. 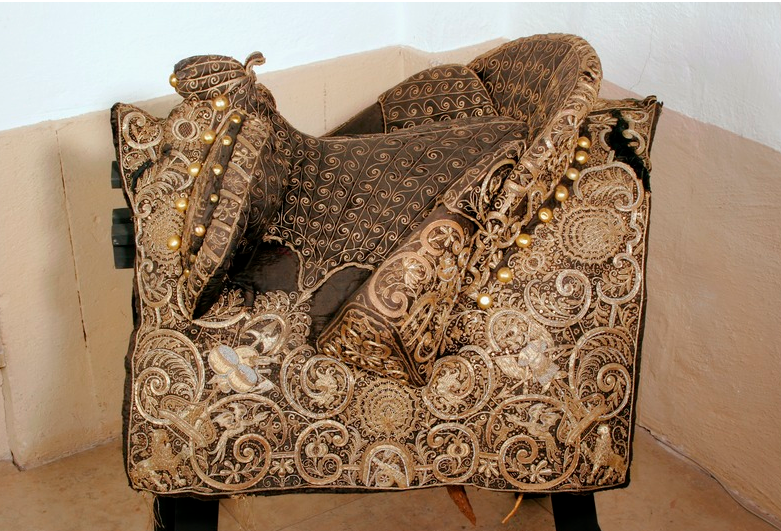 One of King's saddles - embroidered with gold thread and with upholstered seat. 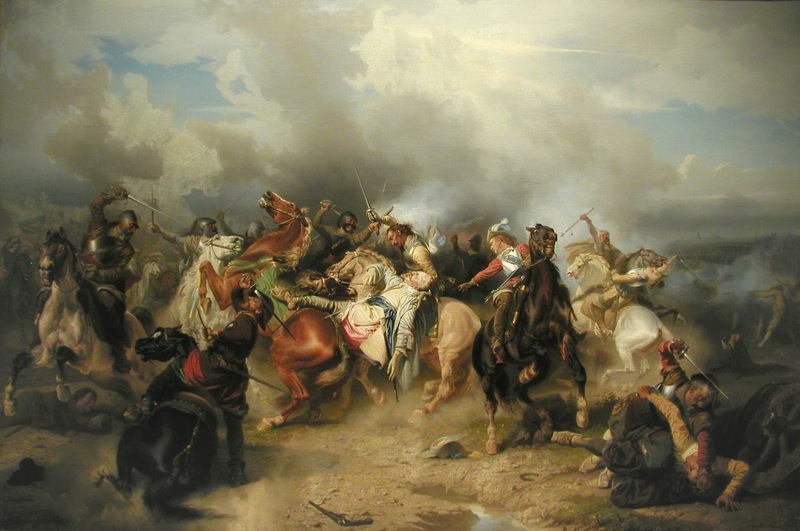 More or less a contemporary painting , another one, (although Wikimedia says it is battle of Dirschau, but there are no Polish troops) of the battle of Lutzen, where he was killed by the Imperialists; below a more recent artwork, XIX century, in all paintings the king is without the armour. Nota bene at Lutzen there were 3 companies of Polish light horsemen recruited in Polish Kingdom fighting against Gustavus II Adolphus. Good book to read on the Gustavus II Adolphus' cavalry is the one by Richard Brzeziński from Osprey Publishing. Brzezinski's book is ok, especially for non-Swedish readers but he did wrote some strange things - errors that were later repeated by other authors after him. 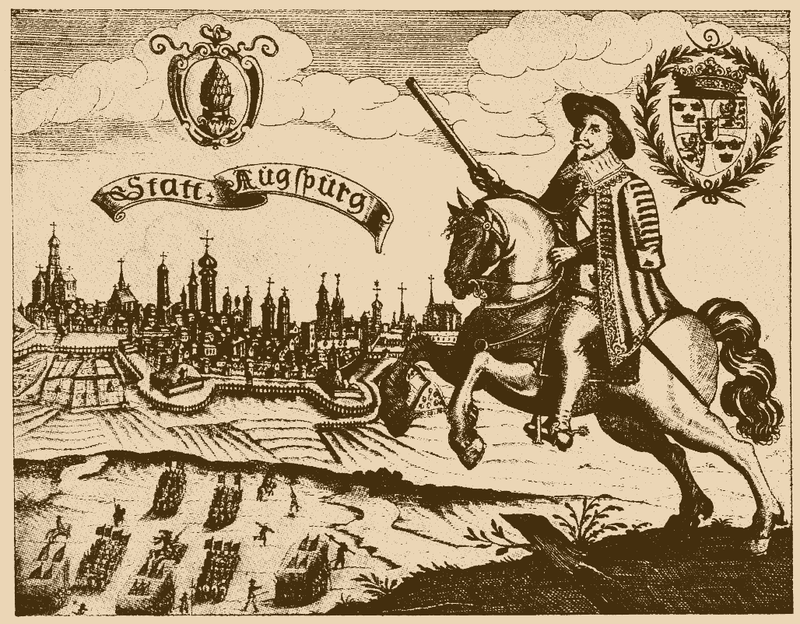 In overall though both of Brzezinski's Ospreys about Swedish armies are worth to have, if someone is interested in Swedish army of 17th century. hey Michal, I would be such reader, since I do not know any Swedish, although reading with google translate can help with short sentences et al.